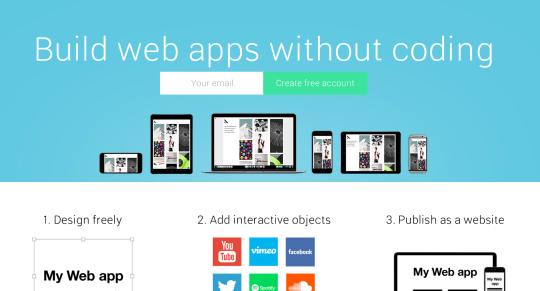 It’s a very standard landing page, but the tagline indicates a departure from websites, to web apps. It’s not a pivot, building interactive apps has always been the vision of Weld. Only 0.5% of the population can code, and we’re building a tool for the other 99.5%. However we decided to take a tree-tier approach (1: prototypes, 2: (web)design, 3: interactive apps) because it was the only way we could launch a product earlier so we could get feedback earlier. That feedback has been tremendously helpful. So today, Weld is a tool for web apps. Soon, for mobile apps as well.